According to statistics, the number of cavities are far less than the number of cavities found 40 years ago, in American kids. The major reason for the drop in cavities throughout the world is considered mainly the use of fluoride in toothpaste. You may know that Fluoride prevents decay by attaching onto the tooth surface and fortifying the enamel against acid erosion produced by bacteria in the mouth. It also repairs the weak spots caused by acid damage. We all are familiar with Sodium Fluoride but most among us are not familiar with Stannous fluoride. It is another mineral of sodium Fluoride family. It has a major advantage over its more common cousin, as it’s also antimicrobial in nature. 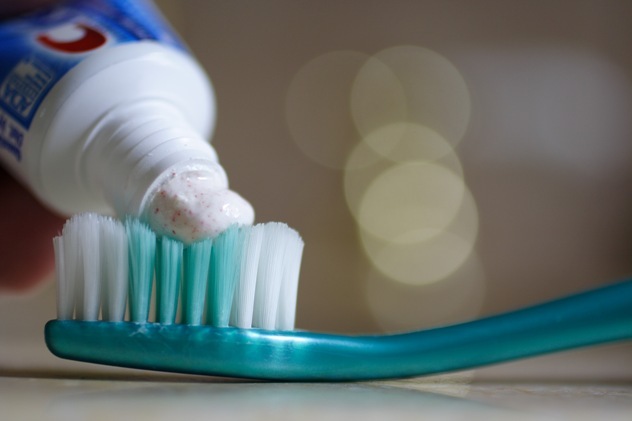 The first toothpaste or mouthwash containing stannous fluoride, was first introduced in the 1950s and later replaced by the better-tasting and less expensive sodium fluoride. Both kinds of fluoride prevent decay by strengthening and repairing enamel weakened by acids. It kills bacteria in the mouth by interfering with the microbes’ metabolic processes, of which cavity-causing acid is the main byproduct, and less bacteria causes less acid. Every time we eat or drink something containing sugar, we produce acid for at least five minutes. We are discussing the effects of toothpastes containing such minerals on a normal healthy person. The sodium fluoride found in most toothpastes isn’t enough to prevent decay, for cancer patients and others with complex medical issues. So they need some additional intake also in form of medications. Other diseases like xerostomia causes decreased production of saliva, which is very important to neutralize acid and mitigate any damage it causes. That’s the reason why people who suffer from dry mouth are at increased risk for cavities. Many prescription drugs also cause dry mouth, like medications for high blood pressure, high cholesterol, depression. You are not sure, which one from both is good for you, Stannous Fluoride or Sodium Fluoride, then keep reading, who knows, at the end of this article, you know which one is best for you. Maybe you are thinking just like me that if stannous fluoride is so good to prevent cavities, reverse gingivitis and prevent plaque buildup, then why most of us are not aware of this mineral. On the other hand, I am sure that each one among us know about Sodium Fluoride. If you are thinking in such way then you are not alone. Here is the reason why Stannous Fluoride is not so popular as Sodium Fluoride. The story begins with the first formulation of stannous fluoride toothpaste, it was with tin and its exposure with water was quite unstable in terms of chemical reaction. In addition, the toothpaste had a metallic taste and the tin would often stain teeth, these all factors make that toothpaste a less preferred choice for patients as well as dentists. In 2004, king of fast consumer goods, Procter & Gamble developed a new way to formulate the stannous fluoride molecule. The new technique produces stannous fluoride that is more palatable and less likely to cause staining. Several new products containing stannous fluoride received FDA approval for their ability to prevent cavities and reduce plaque and gingivitis. Temporary staining of the teeth due to overuse is normal and your dentist can easily remove the stains. Allergic reaction are rare but happens, you may feel itching, dizziness or trouble breathing. Sodium fluoride is equally good to prevent cavities. For people who are have a healthy mouth and who are very keen about their oral care, the effect of both minerals may equal. Both will prevent cavities, decay and strengthen the enamel weakened by acids. The main advantage of Sodium Fluoride over Stannous Fluoride is that you can it without your dentist’s prescription. Unlike Stannous Fluoride, there are no side effects of normal sodium Fluoride. And if you or children mistakenly swallow the Sodium Fluoride, it doesn’t cause any harm but this is not the case if you swallow toothpaste with stannous fluoride, it can cause harm. One and only advantage of stannous fluoride over Sodium Fluoride is its ability to kill the bad bacteria in your mouth due to its antibacterial properties. Less bacteria means decreased production of Acids in our mouth, because acids are mainly produced by bacteria. The strong antibacterial properties of the stannous fluoride will greatly reduce the number of bacteria in our mouth, which will reduce the amount of acids and reduce the risk of developing cavities and decay.